It’s the most wonderful time of the year! 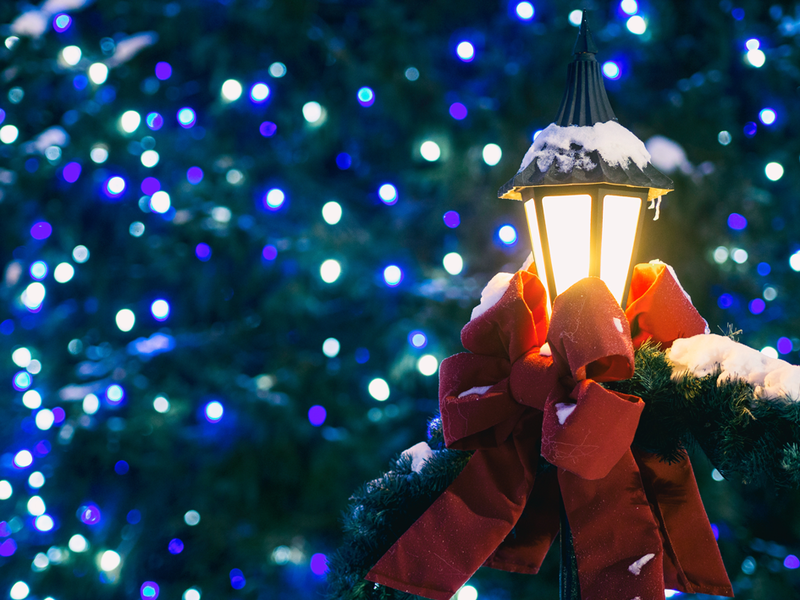 The holidays are right around the corner and the Omaha area is bursting with festive events that are perfect for getting you into the holiday spirit. From classics like “A Christmas Carol” and “The Nutcracker” to unique events like a renaissance style holiday celebration — there’s something for everyone to enjoy this season. We’ve gathered the 22-holiday events in the Omaha area that we’re most excited for this year, so pull out your calendars and prepare to make this the merriest holiday season yet. It just isn’t Christmas without “A Christmas Carol”. Experience Omaha’s favorite family tradition as Ebenezer Scrooge takes us on a life-changing journey with lovely costumes, music and beautifully crafted sets! Led by the Papillion-La Vista Titan Marching Band, Santa arrives to light the Shadow Lake Towne Center Christmas Tree. See your favorite storybook holiday character — including the Grinch riding the Papillion Fire Department’s truck. Enjoy ringing free jingle bells, sipping on hot chocolate, riding in horse-drawn carriages down main street, and so much more! 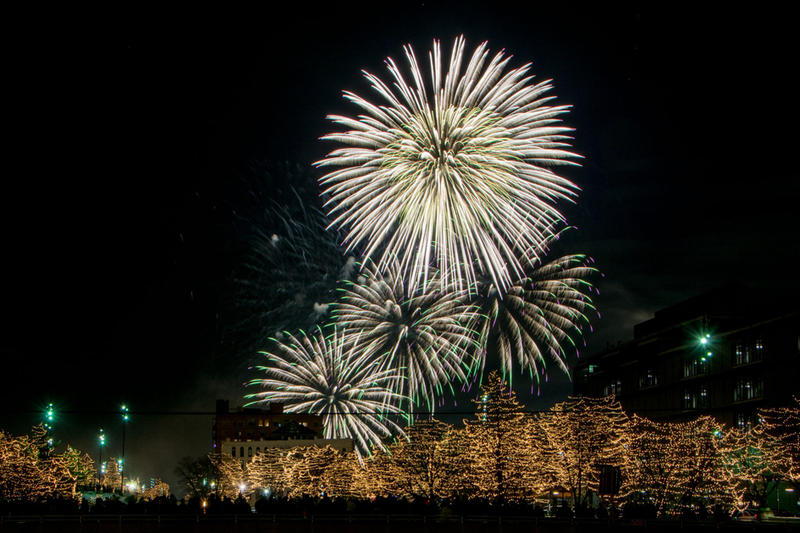 This is an Omaha holiday must-see! Explore downtown as it’s covered in thousands of dazzling lights and experience a host of free special holiday events. 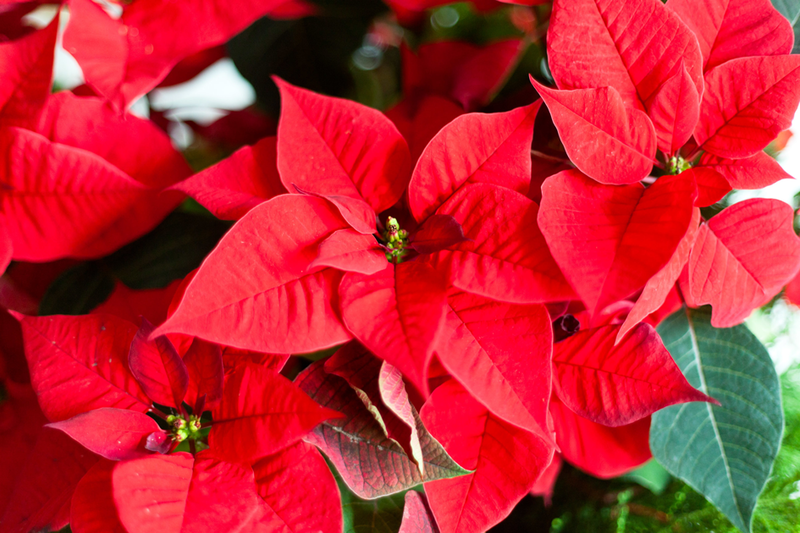 Experience this festive plant like never before at the Holiday Poinsettia Show, where you can view thousands of poinsettias bursting with rich and vibrant color. In the center of it all, a magnificent 20-foot-tall poinsettia will stand tall, surrounded by a cascade of twinkling white lights, ornaments and model garden trains. You won’t want to miss this unique holiday event! This family favorite holiday event will be returning to Omaha again this year! This long-standing tradition has become one of the top holiday destinations in the region. Stop by to see the forty-foot-tall twinkling tree, an excellent exhibit of trees that showcase holidays around the world, and even Santa himself! Under the glow of The Durham’s Christmas tree, experience some of the area’s most talented local musicians play your favorite holiday music. 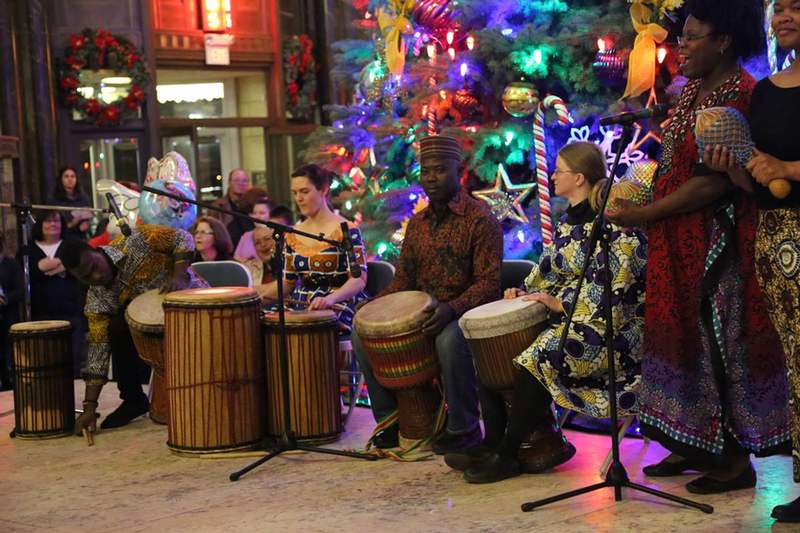 Learn how the world celebrates Christmas at the Holiday Cultural Festival. More than 20 local cultural organizations proudly display their crafts and traditional dress, while musicians and dancers perform throughout the evening. Plus, enjoy delicious cultural food and purchase hard-to-find gifts. You don’t want to miss this spectacular concert performance! Audiences will journey into a visual world with amazing acrobats, aerialists, hilarious hijinks and holiday cheer. This show blends the spellbinding grace of today’s greatest circus performers with the incredible Omaha Symphony Orchestra as they play they greatest holiday hits. Adorned in a twinkling array of lights and holiday decorations, the century-old farmhouse and barns will take your breath away! Shop from over 70 vintage vendors, makers and artisans for the perfect gifts and holiday decor. Visit with Santa, meet Princess Elsa, enjoy a large light display, watch ice sculpture carvings and so much more! 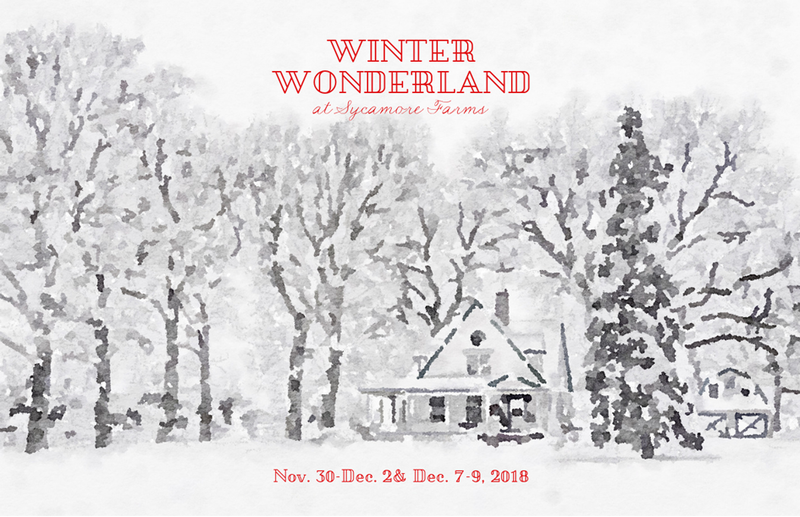 For a full list of everything you’ll be able to do at this holiday event — check out the Sycamore Farms website. Enjoy the forest after hours so that you can experience the holiday lights in their full glow. Then, hike down the boardwalk to Ridge Trail where children can meet Santa in the woods and enjoy s’mores and cocoa by the fire pits. This is sure to be holiday fun for the whole family! 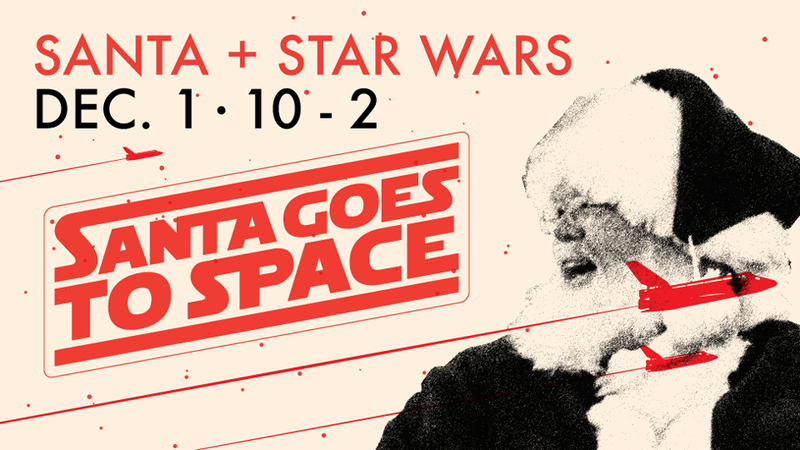 Santa Claus and Star Wars join forces for a fun-filled family day. There will be space-related booths, pictures with Santa and Star Wars characters, activities, make-and-take ornaments, and holiday music. Come out and experience a holiday event like no other! 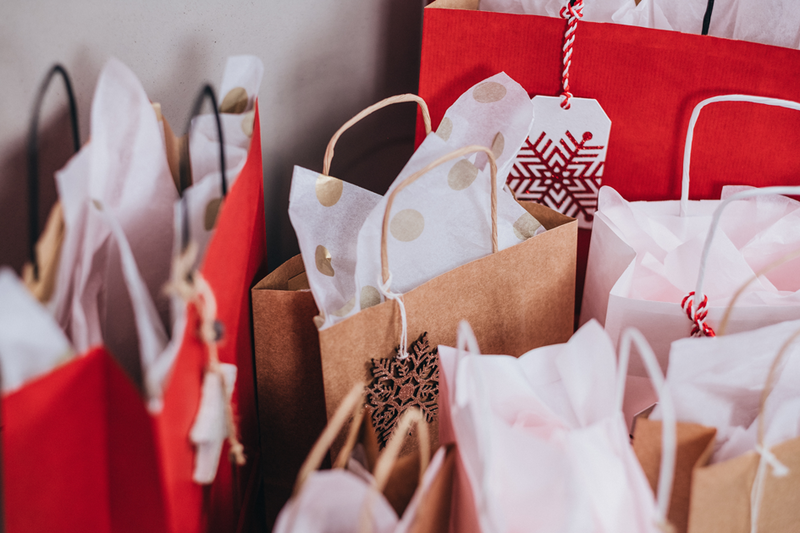 Get your holiday shopping done early this year at Aksarben Village. Peruse more the 55 vendors under heated tents and purchase festive foods, handmade crafts and holiday decor. Santa will be there from 2-4 pm on Sunday for children to meet and take photos with — so have your camera ready! This holiday festival gives families the ability to experience many of Omaha’s leading downtown attractions for free. A free trolley service will connect participating venues and each will offer free admission and family activities. Some of the venues you can visit include the Omaha Children’s Museum, Omaha Police Mounted Patrol Barn, The Durham Museum and more! For a full itinerary, you can visit the Holiday Lights Festival’s website. Celebrate Christmas Renaissance-style with a unique holiday interactive dinner theater! A cast of over 30 actors will entertain audiences with beautiful Christmas music — plus, you won’t want to miss the antics of the Jester, Wench and the Magician. Get into the holiday spirit with this fun-filled day packed with plenty of family-friendly entertainment, food and festivities. Ashland’s Third Annual Parade of Lights will begin at 6 pm and will be an incredible sight for the whole family! Come out and visit the first ever Pioneers Christmas Gift Show. Shop hundreds of homemade crafts, gifts, sculptures, ceramics, specialty foods and so much more in a 50,000 square foot facility. Deck the halls with handmade, local art from this year’s Harvester’s Holiday Boutique. Every floor will be filled with gifts, treats and entertainment, so come out and shop for holiday presents while supporting local artists! This holiday classic is an absolute must this season. The American Midwest Ballet will take you on a journey through the enchanting Land of Snow and the Kingdom of Sweets in a stunning production with a cast of 130 professional and student dancers. Come for the tradition; stay for the stunning storytelling! Start your holiday celebration early with this merry production. Complete with Ernest Richardson, the Omaha Symphony, and a stellar cast of Broadway singers and dancers, you won’t be able to find this much Christmas cheer packed into one evening anywhere else this season! Cookies, Carols and Cider; A Holiday Lights Tour! Who doesn’t love a night of cookies, cider and singing Christmas Carols? This one-time event will take you through several of Omaha’s most beautifully decorated neighborhoods. Cider, snacks, music and trivial will be provided! Reservations are required. Watch the beloved TV classic in a whole new light this holiday season. Come out and see all of your favorite characters, including Santa and Mrs. Claus, Hermy the Elf, the Abominable Snow Monster, Clarice, Yukon Cornelius and, of course, Rudolf as they are brought to life on stage! Celebrate a vintage Christmas this year with the Omaha Jitterbugs. This fundraiser will feature beginner swing dancing lessons, a photo booth, raffle, coffee, comedy, vintage Christmas gifts, a live performance from the fabulous Miss Jubilee, and so much more! Tickets are required. Dig out those cozy (or itchy) ugly Christmas sweaters and wear them proudly at this fun holiday event! For $5, sample a different beer at each of the participating locations. Beer, holiday cheer and new friends — what more could you need? Did we miss your favorite Omaha area holiday event? Let us know in the comments!